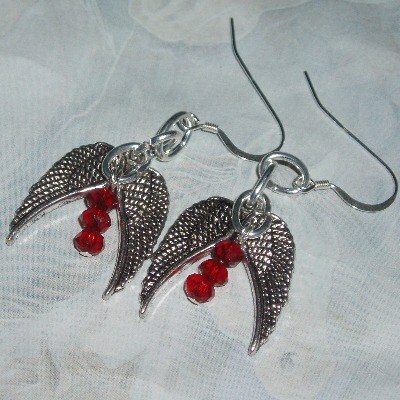 Mortal Instruments Wings Charm earrings with 25mm silver plated Double Wings charms and 3 sparkling 4mm red faceted crystals dangling on each earring. On sterling silver ear wires. Brilliant gift for any The Mortal Instruments fan.